Speaking of Dogs has various types of volunteer opportunities available. Please note that currently we only require volunteers for fostering and for transports. We have an ample number of volunteers for the other tasks noted below. Although we have a partnership with a doggy daycare, we do not have a physical shelter; our dogs are in-home fostered by caring, loving volunteers. Because of the way our rescue is structured the only hands-on volunteer positions with our dogs is fostering. We are always in search of new foster homes where a dog can be cared for and loved until a permanent home is found. Fill out our online fostering application. We attend Woofstock, the Canadian Pet Expo, and other events a few times a year. We need volunteers to help help setup, pack up, and to attend the booth on the day. We run our online auction once a year and need volunteers for photography, copy writing, donation drop offs, pick-ups, storage, website coordinators, and more. Occasionally we organize a yard sale where we need volunteers to help setup, pack up, and to attend on the day and help customers purchase items. The dogs we help are not always located in Toronto. Often, we need to travel to pick up dogs and transport them to their foster homes. Sometimes we need people to transport dogs to their vet appointments. Other times we need people to transport medication or donations to foster homes. We are always looking for volunteers who can be available for this. Before someone becomes a new adoptive parent or a foster home, we conduct a home check. We are looking for volunteers with some previous experience in various locations across the GTA or Ontario who can be available for home checks. Sometimes we need help with administrative duties. This could be helping organize an event, making phone calls, photographing dogs, creating graphics, updating our web site, among other things. If you are interested in volunteering, please fill out the following form and someone will be in touch with you within a few days. If not, how old are you? Please note that if you wish to become a foster person there is a separate form to fill out noted above. If you have any skills that you believe would be an asset to SODR, please list them below. If you answered yes, please tell us about your pets such as their species, age, personality, lifestyle (i.e. member of family, whether they reside indoors/outdoors, etc.). Is there any additional information about yourself you would like us to know? How did you hear of Speaking of Dogs Rescue? Volunteers/Representatives of the Speaking of Dogs Rescue Program (SODR) are expected to conduct themselves with personal integrity, ethics, professionalism, honesty and diligence in performing their duties for the organization. 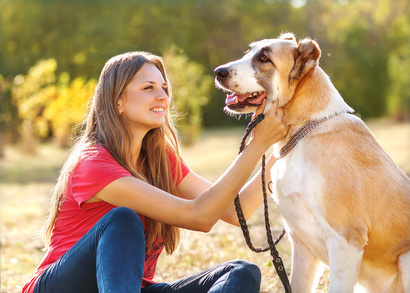 Volunteers are required to support and advance the interests of the organization and avoid placing themselves in situations where their personal interests actually or potentially conflict with the interests of Speaking of Dogs Rescue Program. Accordingly, all volunteers must comply with the Code of Conduct described herein. By submitting this volunteer application you agree to adhere to this Code of Conduct. RESPECTFUL CONDUCT: •	Volunteers must, at all times, treat with dignity and respect all clients, adopters, suppliers, and fellow volunteers with whom they interact while representing the Rescue. •	Volunteers will act in a way that supports and advances the welfare, image and reputation of the Rescue. PERSONAL GAINS: •	Volunteers must not use their status as a Rescue volunteer to obtain personal gain (financial or otherwise) from those doing or seeking to do business with the Rescue. •	This includes not seeking or accepting personal gifts, favours, payments, services, fees, special valuable privileges, pleasure or vacation trips, accommodations or loans of money from any person, unless in the ordinary course of rescue business. CONFLICT OF INTEREST: •	Volunteers must avoid perceived and actual conflict of interest. •	Volunteers shall, at the first opportunity, disclose any conflict of interest to a board member. CONFIDENTIALITY: •	Volunteers who receive confidential information will keep that information confidential. This includes, but is not limited to, client, donor, volunteer, and financial information. •	Volunteers will not share any information obtained from the rescue on social media without a board member’s approval. PRIVILEGED INFORMATION: •	Volunteers will not use information obtained while volunteering for their own purposes, including financial gain, or disclose for the use of others (for example, lists of sponsors or suppliers). •	This applies both during and after the period in which the individual is a Rescue volunteer. INTELLECTUAL PROPERTY: •	All intellectual property (brands, logos, websites, identifiers, etc.) currently belonging to the Rescue or developed by a volunteer in the course of their role with the Rescue (for example, guidebooks, training resources, promotional materials) shall remain the property of the Rescue and may not be used for the personal benefit of a volunteer. These are minimum standards and by no means cover every contingency. However, any material failure to comply with these standards will be sufficient grounds for termination of the individual from their volunteer position. Any volunteer who is uncertain of the application of this Code of Conduct should contact any member of the Board of Directors for further information.